Dr. Ebenezer Jackson has held the position of Director of the Jackson Educational Complex in Kumasi since 2009. KUMASI, GHANA, October 12, 2018 — Marquis Who's Who, the world's premier publisher of biographical profiles, is proud to present Ebenezer Jackson, Ph.D., with the Albert Nelson Marquis Lifetime Achievement Award. An accomplished listee, Dr. Jackson celebrates many years' experience in his professional network, and has been noted for achievements, leadership qualities, and the credentials and successes he has accrued in his field. As in all Marquis Who's Who biographical volumes, individuals profiled are selected on the basis of current reference value. Factors such as position, noteworthy accomplishments, visibility, and prominence in a field are all taken into account during the selection process. Dr. Jackson began his career as a Teaching Assistant and rose through the ranks to become an Associate Professor in the Department of Electrical and Electronic Engineering at the Kwame Nkrumah University of Science & Technology in Kumasi, Ghana, from 1967 to 2010. During this time, he also served as the Head of the Department of Electrical and Electronic Engineering and Dean of the School of Engineering at Kwame Nkrumah University of Science & Technology from 1990 to 2004. Dr. Jackson has held the position of Director of the Jackson Educational Complex in Kumasi since 2009. Prior to embarking on his career, Dr. Jackson received a Bachelor of Science in Electrical Engineering from Kwame Nkrumah University of Science & Technology in 1967. Following this accomplishment, he earned a Master of Science in Electrical Engineering from the University in 1970 and a Diploma in Management from Arthur D. Little in Cambridge, MA, in 1971. Dr. Jackson concluded his education with a Doctor of Philosophy in Automatic Control from the Ivy League University of Pennsylvania in Philadelphia in 1974. He is a fellow of the International Solar Energy Society and the Ghana Institution of Engineering, where he served on the Council from 2002 to 2006 and was Vice President from 2005 to 2006. Dr. Jackson was a member of the Institute of Electrical and Electronics Engineers from 1974 to 1978 and a member of the Governing Council for the African Network of Scientific and Technological Institutions from 2002 to 2005. He is the author of “How to Reduce Your Domestic Electrical Charges,” published by Dela Publications in 1987, and a number of textbooks for the KNUST Institute of Distance Learning. Dr. Jackson is also a contributor of more than 60 articles to professional journals. He has also been a member of the Executive Committee, the Academic Board and a College Examination Officer at the Kwame Nkrumah University of Science & Technology from 1975 to 2010. He has worked as an External Assessor in Electrical and Electronic Engineer to local and international universities since 1987. 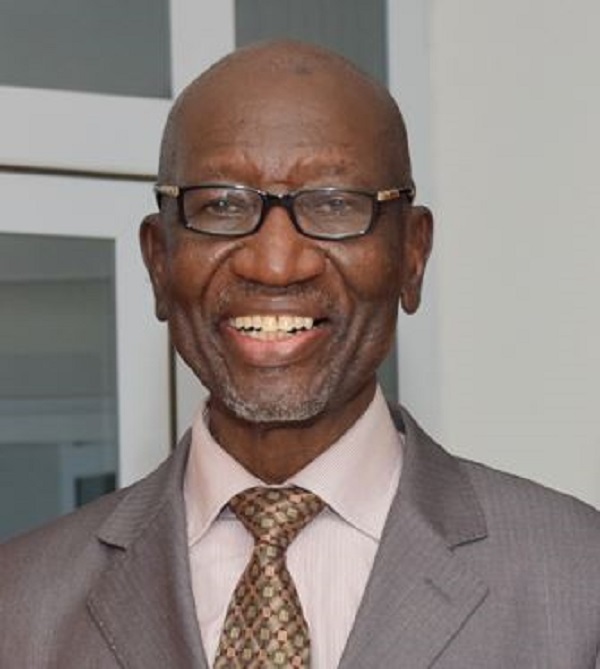 In 1990, Dr. Jackson was active as a member of the National Task Force which helped in establishing the University of Development Studies in Northern Ghana and has been the Chair of the Accreditation Team of a number of Institutions since 2000. In addition to his career, Dr. Jackson was a member of the Mendelssohn Club of Philadelphia from 1972 to 1974 and the Cleveland Orchestra Chorus from 1974 to 1975, two semi-professional choruses performing with major orchestras like the Philadelphia and Cleveland Orchestras. He contributed to a number of recordings as a chorus member also recorded “The King is Coming” as a soloist in 1991. Dr. Jackson was the recipient of the Shell Award for Outstanding Senior High School Results in Ghana and named Best Scholar of the Year at Mfantsipim High School in Cape Coast, Ghana, in 1963. He was awarded the African-American Institute Scholarship in the University of Pennsylvania from 1970 to 1974 and the Micjoy Award in 2014 and 2018. In 2015, Dr. Jackson was honored as Manager of the Year and inducted into the Oxford Academic Union by the Europe Business Assembly in Montreux, Switzerland. Dr. Jackson was presented with the Business Initiative Directions Award in Frankfurt, Germany, in 2015. He was also celebrated as a World Leader Business Person by the World Confederation of Business in 2015 and 2017 and with the Golden European Award from the World Business Assembly in Dubai in 2016. Additionally, Dr. Jackson was the recipient of the African Quality Award in Kumasi from 2016 to 2017 and the Extraordinary Achievement Award from the National Philanthropy Forum in Ghana in 2018. In addition to these awards, Dr. Jackson has a number of other achievements to his name, including establishing the Jackson Educational Complex with his wife in 2009 and the Jackson and DEEN Foundations with his wife in 2017. He also worked against strong opposition to the introduction of the Modular Course System at Kwame Nkrumah University of Science & Technology in 1977 and was the first to write the software for processing examinations and providing transcripts at Kwame Nkrumah University of Science & Technology. While he was Dean of the School of Engineering at Kwame Nkrumah University of Science & Technology, he introduced programs in Computer, Petroleum, Aerospace and Telecommunications Engineering. Dr. Jackson also worked with the Volta River Authority while on sabbatical from 1995 to 1996 and was in a pioneering team which introduced the Energy Savings Bulbs into Ghana. In recognition of outstanding contributions to his profession and the Marquis Who's Who community, Dr. Jackson has been featured on the Albert Nelson Marquis Lifetime Achievement website. Please visit www.ltachievers.com for more information about this honor.